← Where’s Linda Knight now? Ontario’s malfunctioning home and community care system is a prime example of why private sector companies should not deliver health care. They don’t do as good a job as the public sector. And the private sector is more costly. The home and community system’s problems are so severe that Health and Long-Term Care Minister Eric Hoskins recently announced that the province’s 14 top-heavy Community Care Access Centres were being shut down. Local Health Integration Networks will expand and absorb the CCACs’ responsibilities. The minister released a discussion paper asking Ontarians to tell the government how home and community care could be improved. But perhaps the process should be reversed. Perhaps the public should release a discussion paper and ask the government to respond. Who made the decision to privatize Ontario health care by stealth? In what election did Ontarians vote for privatized health care? 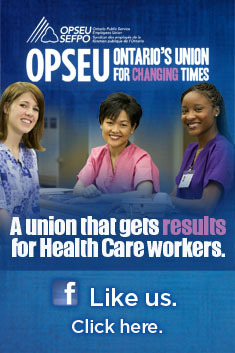 When did Ontarians vote that our health care system’s primary goal be profit? The government wants more treatment traditionally provided in hospitals relocated to the home. This includes vital services such as dialysis, complex wound care and palliative services. There are often good reasons for doing this. Many patients recover more quickly after surgery if they rest at home rather than in the hospital. And it costs less. But as more health care services are transferred from the hospital to the home, the Wynne government is quietly transferring care delivery from the public to the private sector. It is laying off workers in hospitals and contracting private companies to provide home and community care services. But for-profit health care companies strive to make as much profit as possible. That’s why they exist. Ontario’s Auditor General recently looked at the level of care offered by home care providers that are under contract to Community Care Access Centres. She found that only 61 cents of every dollar paid by the CCACs actually ends up going to face-to-face patient care. What happens to the rest of the money? The 39 cents per dollar? Much of it goes to managerial salaries and profits of the for-profit companies. But cheap and fast should not be the guiding principle of a health care system. The guiding principle should be to do what is best for the patient. This is the principle followed when care providers work for the government instead of the for-profit companies. This should be the focus of public debate. But not surprisingly, Hoskins’ discussion paper doesn’t ask for comment on its privatization agenda. Privatization is a conversation the government desperately wants to avoid, because the facts show that privatization results in poorer patient care. When did we agree to privatization? Dismantling the CCAC’s and having them run by the LHINs…not sure how that will be helpful – at least the CCACs were run by people with a health care background, rather than the LHIN brass which are business, project management, LEAN proponents…where do people fit in? For sure great questions and information and the background paper’s recommendation for example, of integrating public health departments interesting too. An aligned whole system approach at each LHIN level makes sense, but you can imagine the multiple problems. Organizations and institutions could align themselves more closely with daily care –without having to align their “letterheads,” and all the spinning a about that would be required by senior management and boards. Instead I wonder if effort could be generated in a ground up approach – eg: workers, mid level managers, clients/patients, senior managers, systems managers, but sticking with the ground of care as the driver. Interesting point made in the article about a tandem, reversed paper, quite/ a good idea actually. But I guess that is the dreaming part of things as “leaders” will be “leaders” in our management/governance structures.